Question: I’d like a 42 foot diesel pusher but I have heard some discussion about longer motorhomes not being allowed in National Parks. Could you provide any information? Answer: Most people choose the size of their RV based on how they will use it. Fitting into campsites is one factor. So on that subject, consider whether you plan to camp exclusively or frequently at National Parks, or whether it will be an occasional occurrence. Also keep in mind that outside the gates of most National Parks there are campgrounds that can accommodate almost any rig. Obviously, with a smallish rig you will fit into more campsites. Years ago, we decided it was more important to have a large RV that would give us ample living and storage space and weight capacity. We have a 40 foot motorhome with a motorcycle lift on the back – which adds another 2-5 feet of length depending on whether the bike is on and the lift extended or folded up. We have not had an issue on those occasions when we want to visit a National Park. We research what the National Park offers in the way of camping facilities. If they can accommodate us, then we stay in the park. If not, then we look for a campground outside the park that is convenient. If we plan to be in a given park or area for more than a few days, we also consider whether we want to have a full hookup or will boondock. Sometimes National Parks do not offer hookups. We may have to pay a higher price outside of the park, and forgo our preference to be right in the park, but we look at the options and make our decision for that specific situation. Note that in addition to National Parks, there are also a lot of other federal lands. These are managed under the National Forest Service, Bureau of Land Management and Army Corp of Engineers, where you may be able to find campsites or open land to boondock. And of course there are State Parks and other state recreation areas. 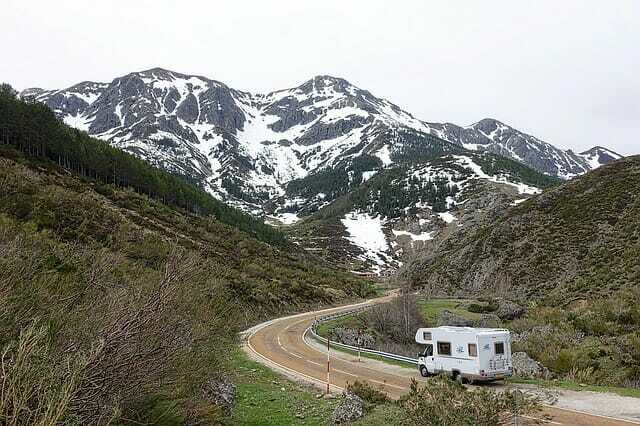 In summary, buy the size RV you need for your comfort and needs over the long term and based on many factors. In our opinion, size as it relates to camping at a National Park is a small part of the overall picture.